Enjoy a landscape covered in a blanket of snow and feel the powdery snow underneath your feet. Immerse yourself in this wonderful scenery, listen to the pleasant sounds of the mountain and breath in an amazingly fresh mountain air while snowshoeing in the Valley of Vinschgau. 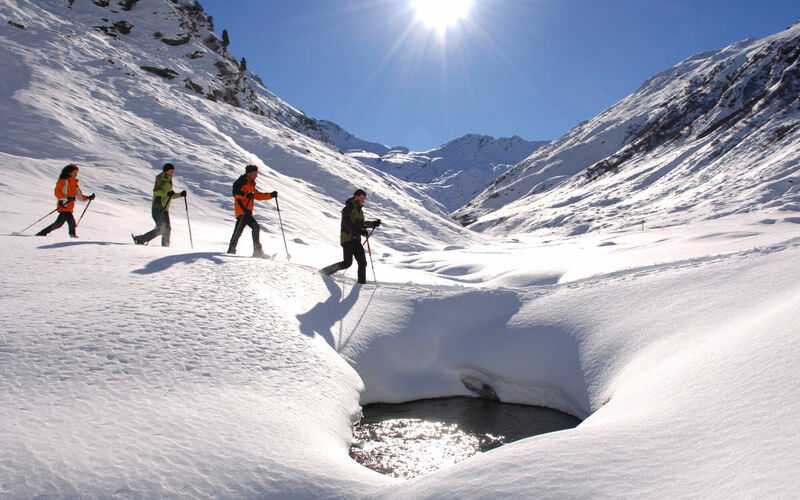 Whether adventuring on the many paths through white woods and mountain trails by yourself or having Lukas reveal the most beautiful spots on the mountain Watles to you, no other winter sport has as much to offer for both young and old as snowshoeing. Located in the middle of this breathtaking idyll, our Hotel is the perfect starting point for many tours in the snow. A tour to the Höfer Alm or Kälberhütte in Schlinig is the perfect daytrip if you love powder snow paths. 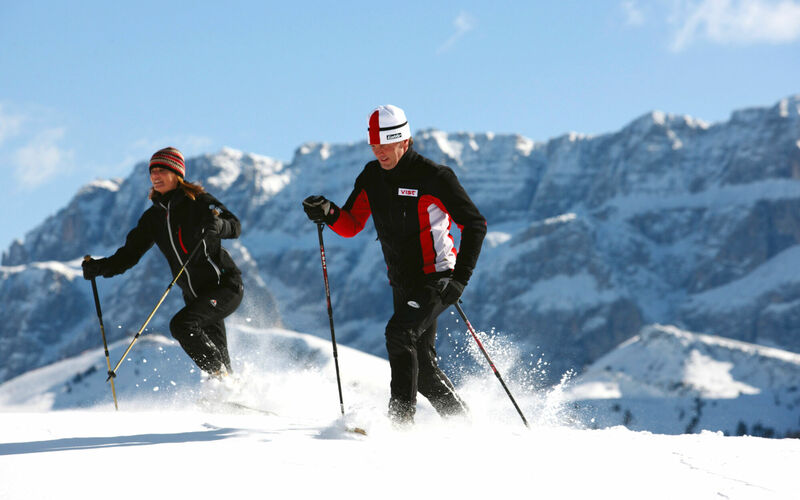 Snowshoe walks to the Matscher Alm or the Reschner Alm offer a good opportunity for a round tour. For those who have a weakness for wide valleys deep in snow we suggest visiting Ochsenbergtal or Avingatal. The choice of snow hiking paths is wide and includes a variety of trails to diverse wonderful alps through snowy woods. 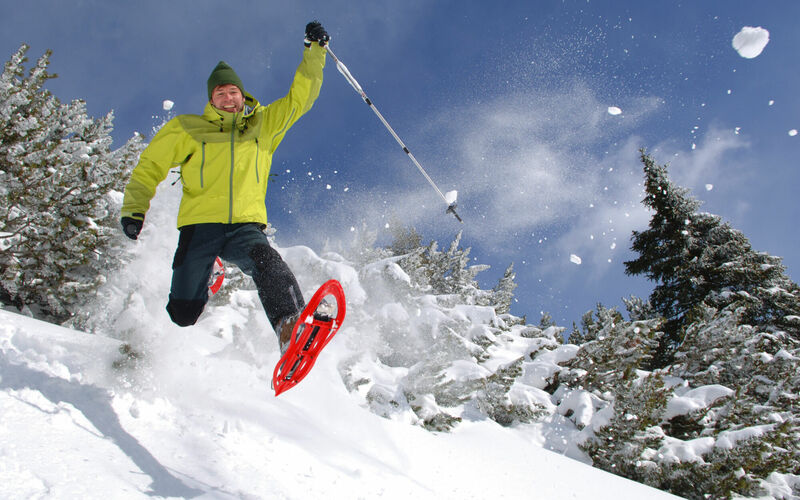 We regularly organize snowshoe hiking tours and snowshoes and sticks can be rented in our hotel free of charge. Our reception will be more than happy to provides you with tips and advice for your tour every day. We would like to present you some of the snowshoeing tours.